With everything that comes with running a business, it can be hard to remember some of the smaller things. And, of course, this can cause some big problems for a business. One of the more common problems is cleaning. It’s hard for staff to find the time to do it off of their own backs, and as a busy owner, it’s easy for you to forget. But, this doesn’t make the cleanliness of a business any less important. To help you with this area, this post will be going through some of the easiest ways to make sure that business stays clean. One of the easiest ways to get a business clean is to use regular staff to do the job. Of course, in some cases, this won’t be possible. But, some businesses may find that this is a great way to save some time and money, without losing any productivity. This will be different for varying types of business, though. And, things will be handled uniquely for each type of business. It’s very common in food places, like cafes and restaurants, for the staff to do most of the cleaning work. Usually, this is handled in small chunks throughout the day, with a much larger clean at closing time. Having staff do this will usually make it much easier for the work to be done. It can save you from having to hire additional staff. And, it will mean that the work is done quickly. Most places pay for an extra hour of their staff’s time, to make up for the work that they do. In an office environment, this might not work quite so well. But, you’ll at least be able to have people clean up their own mess. This will limit the amount of time that needs to be spent cleaning and will make it easier for other staff to pick up the workload. In an environment, like an office, you may find that some staff have a lot of down time that they spend doing nothing productive. For most people, these are the most boring parts of a job. A lot people will spend this time doing nothing, making it feel like a long time. Giving the option to fill this time with a little bit of cleaning can be enough to get an entire office sparkling. It’s amazing how people will work hard to fill time. But, they will. Of course, you can’t take advantage of things like this too often. Otherwise, people will feel like they’re doing work out of their job description. And, they will. So, it always has to be a choice, as well. In a lot of cases, using staff to do cleaning for you won’t be a viable option. Your staff may be too busy or simply unwilling to do the job. So, you might need some help. Thankfully, it’s easy to find help with something like cleaning. Services everywhere offer this service, and most businesses can afford it. When it’s easier to simply hire someone to deal with the issue for you, it’s best to go for a professional. In this case, you need to consider how often you need your place cleaned. In most cases, this will be anywhere from daily to once a week. But, you will also need occasional deep cleans, to make sure that areas don’t get forgotten and lost to dirt. This schedule will depend on the business that you run. Health and hygiene regulations will usually dictate that food places need to be cleaned daily. But, an office will be much less dirty so that it can be cleaned less regularly. The services that you can use range from emptying bins right up to full-scale cleans. So, you should be able to find something that matches your business’s needs. Finding these companies is easy. They are in most towns and cities, and some are even mobile. So, you shouldn’t have an issue getting the work done. If you have multiple options, you need to consider them very wisely. Make sure that they’re not charging far too much for the work by looking at other companies for a reference. A company like Southern Cross Cleaning Services is a great place to start, to make sure that you’re getting a good deal. Read reviews online, as well. This will give you an idea of how well the company has dealt with other customers. This information can be invaluable when it comes to finding the best cleaner for you. In most cases, cleaning jobs are made harder because poor quality or incorrect tools are used. It’s easy to assume a cloth will do for just everything. But, in reality, cleaning can be made much easier using tools that are designed for the task. Thankfully, it’s easy to find tools for this sort of work. You just need to do some research. Your research will start by looking at the materials that you need to clean. Research these, and find out the best methods for cleaning them. In doing this, you will also find out which tools need to be used. Now, you can start comparing. Always make sure that you compare items against each other with more than just price in mind. Sometimes, it can be better to spend a little bit more, so that you get a much better product. Once you have the products in mind, look for trade sellers who can give you business prices for the goods. This can make them cheaper and easier to get. You also need to consider the chemicals you use for work. Most of the time, off-the-shelf brands will be good enough. But, value ones might not. 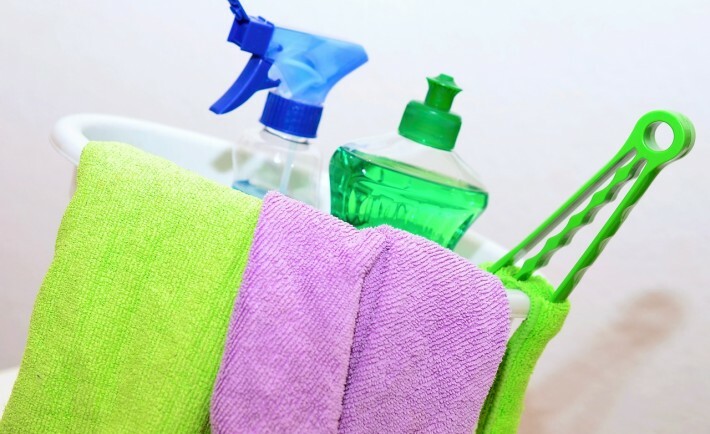 Hopefully, this will help you when it comes to your future cleaning. A lot about a business can be told by the way that it looks. And, dirt looks bad. So, people won’t like your business if it isn’t clean. It’s essential that you keep this in mind. It could be the difference between life and death for your business, especially if you sell food. Burning Out? Take The Load Off To Keep Your Business Stable.